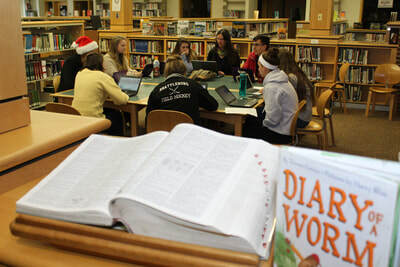 Act 77, Vermont’s Flexible Pathways Initiative: We seek to build capacity among teachers, administrators, students, and families in understanding the rationale for a proficiency-based system of learning, implementing the three pillars of personalized learning, and developing a K-12 progression of performance indicators in support of our graduation proficiencies. The work of our K-12 Proficiency-Based Leadership Team can be viewed at the following website: WSESU Proficiency-Based Education. Instruction and Assessment: We coordinate local and large-scale state assessments, including the Smarter Balanced Assessment Consortium, FitnessGram, and the NGSS-aligned Science Assessment. Examination of assessment data informs tiered instructional decisions through a Multi-Tiered System of Support (MTSS). An MTSS approach is designed to maximize student learning through engaging, culturally responsive, differentiated, and effective Tier 1 academic and behavioral instruction for all students and the implementation of timely interventions for students requiring additional supports. For more information on MTSS, visit the Vermont Agency of Education or the WSESU Assessment Toolkit. Assessment data also inform curriculum decisions and support our work in aligning our instruction and assessment with national standards including the Common Core State Standards, Next Generation Science Standards, The C3 Framework for Social Studies State Standards, The American Council on the Teaching of Foreign Language (ACTFL), and The National Association for Music Education. Professional Development: The field of education is ever evolving. Brain research provides new information about how and when children learn, technology offers opportunities to reshape instructional and assessment practices, and new understandings of our world transform the work of teaching. Our office coordinates professional development that supports the implementation of best practices in the academic, social, emotional, and behavioral development of students. Special focus is placed on the needs of new teachers through our New Teacher Induction Program, a two-year program tailored especially toward teachers with less than three years experience. Education Quality Reviews and Continuous Improvement Plans (CIP): In order to determine how well we are delivering on the promises set forth by the Education Quality Standards, the Vermont Agency of Education, the state of Vermont, and our local communities examine test scores, demographic data, and graduation rates, as well as qualitative data generated by the Integrated Field Review (IFR) process. Windham Southeast Supervisory Union's IFR took place in the fall of 2017; the final report can be read at this link. The Education Quality Review process informs our supervisory union and schools' Continuous Improvement Plans, driving our decisions about instruction, assessment, curriculum, and professional development. Title I: Title I is a federal program that provides funds to schools and school districts serving high numbers of economically disadvantaged children. 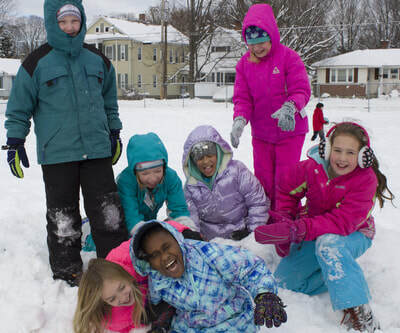 WSESU schools that quality for for Title I funds include: Brattleboro Area Middle School, Academy School, Green Street School, Oak Grove School, Putney Central School, and Guilford Center School. 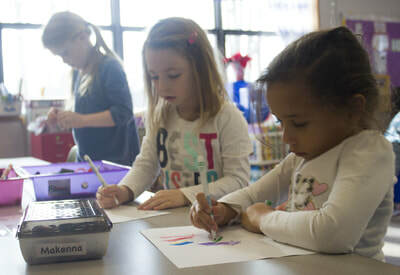 Title I programming and funds are coordinated through the Curriculum and Assessment Office and used to improve curriculum, instructional activities, counseling, and parental involvement.